Heat olive oil in large skillet. Add garlic and bread cubes. Toss well to coat cubes with oil and garlic. Toast in skillet until light golden brown. Set aside Until ready to assemble salad. In a large salad bowl tear lettuce into bite sized pieces. 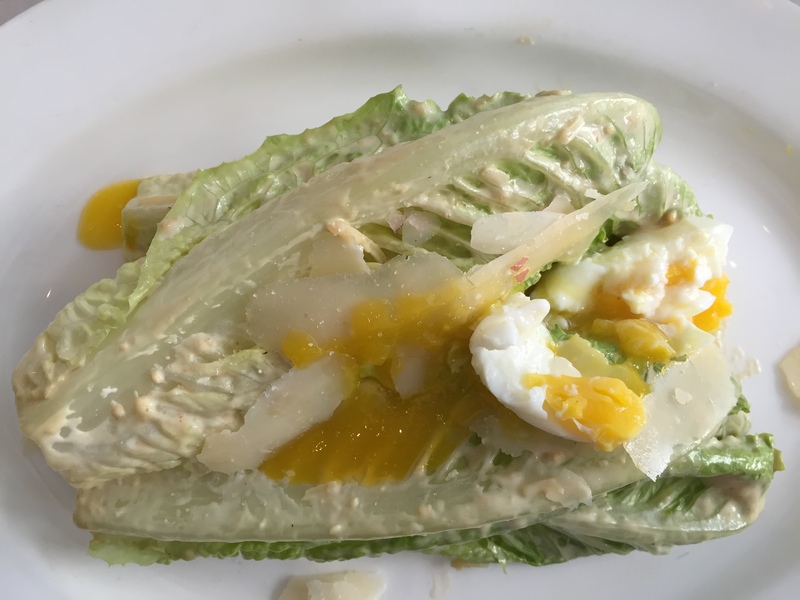 Toss with Caesar dressing coating all the leaves generously. 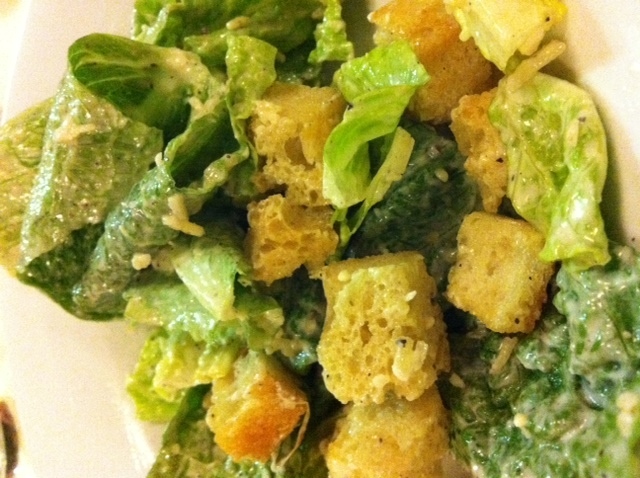 Sprinkle with Parmesan and croutons.